SEATTLE – U.S. officials are heading to Greenland for a three-day meeting to persuade other Arctic nations to place a moratorium on high-seas fishing in the Arctic Ocean, where climate change is melting the permanent ice cap and allowing trawlers in for the first time in human history. The United States is proposing an agreement “that would close the international waters of the Arctic Ocean to commercial fishing until there is a good scientific foundation on which to base management of any potential fishing,” said David Benton, a member of the U.S. Arctic Research Commission, who will be part of the negotiations in Nuuk, Greenland. The first step toward protecting the Arctic Ocean and its fish population, which has never been studied, is for the five nations bordering the body of water to reach an agreement on a moratorium. To date, the United States, Canada and Greenland are on board, but Russia and Norway have not joined in. All coastal countries control the fisheries within 200 miles of their own coastlines. The high seas beyond that zone do not belong to any nation, are not covered by any regulations and can only be protected by international agreement. Once the five Arctic nations are in accord on a fishing moratorium, Benton said, they would then reach out to other countries with major commercial fishing fleets, such as China, Japan and Korea, to negotiate full protection for the central Arctic Ocean. Benton, who advises the U.S. negotiating team, said he was “cautiously optimistic” that the Arctic nations would reach agreement during the three-day meeting, which begins Monday. In 2009, the United States adopted its own Arctic Fishery Management Plan, closing American waters north of Alaska to commercial fishing until scientific research proves that the fishery is sustainable. “What the United States did in its waters was a precautionary action that takes into account how Arctic warming is changing the ecosystem faster than science can keep up with it,” said Scott Highleyman, director of the international Arctic program for the Pew Charitable Trusts. One example, Highleyman said, is the New England Atlantic cod fishery, which was shut down in the 1980s due to overfishing, costing 50,000 jobs. There is much at stake in the central Arctic Ocean, of which about 1.1 million square miles are largely unregulated international waters. An open letter to the Arctic governments, signed by 2,000 scientists from around the world, notes the mysterious and fragile nature of the region. If it is overfished, the scientists say, that will affect seals, whales and polar bears as well as the people who make the harsh region their home and rely on such creatures to feed their families. Canada’s deadline is Friday to apply to the commission for exclusive rights to what is likely to be another 1.7 million square kilometers of Arctic sea floor. The application under the Convention on the Law of the Sea will be the culmination of a decade of work and more than $200 million in public money. Collection of data for the application has required more than a dozen icebreaker voyages, as well as trips by helicopters, airplanes and an unmanned, remote-controlled submarine that spent days under the ice, Leader-Post writes. Denmark and Greenland last week submitted a claim for 62,000 square kilometers of Arctic sea floor, reports Politiken newspaper. The claim is the fourth of five that Denmark is expected to submit before a deadline in 2014 which in total could expand Denmark’s territory by around a million square kilometers. Politiken reports that other Arctic countries have also submitted claims that overlap Denmark’s and with around 50 cases currently being processed, they may have to wait until 2019 for a verdict. Pedersen slices open a frozen haddock to reveal the mass of salmon feed pellets in its stomach. This fish was caught in the vicinity of salmon farms in Vestre Jakobselv, Pedersen said. The president of Norges Kystfiskarlag, the Coastal Fishermen’s Association, is more concerned with the effects of salmon farming on wild fish populations than he is with the new quota recommendations. Arne Pedersen is not too concerned about the new quota recommendations for cod and haddock. It isn’t the quantity of fish that worries him: it’s their health. “This is not natural, this is poison,” Pedersen said, sawing open a frozen haddock to expose the contents of its stomach. The stomach is filled with a brown, fibrous substance that resembles feed pellets, such as those used in the salmon farms near where Pedersen said he caught the fish. He produces another frozen haddock, saws it open as well, and the contents of the stomach are the same. As president of Norges Kystfiskarlag, the Norwegian Coastal Fishermen’s Association, Pedersen represents more than 1,000 fishermen along the coast of Norway from his home in Vestre Jakobselv, in eastern Finnmark. Part and parcel to protecting the livelihoods of coastal fishermen, he said, is to protect the health of the fisheries they rely on. But Pedersen said that he has had no response from authorities when he has brought his complaints to bear. He suspects it has to do with the enormous economic influence of the salmon farming industry in Norway: salmon farming comprises 80 percent of the Norwegian aquaculture industry. More than 95 percent of Norway’s aquaculture production is exported, destined for more than 130 countries. The controversy surrounding the effects of salmon farming on the environment is not a new one. A vast amount of research has been conducted on the issue, which in recent years has reached a national scale in countries such as Chile, Canada, and the United States. In Norway and elsewhere, cited impacts include a decrease in wild salmon populations due to the influence of escaped farmed salmon, and the spread of deadly sea lice (“lakselus”, in Norwegian) and diseases throughout local wild fish populations. Further down the coast, researchers from the Norwegian Institute of Nature Studies and the Institute for Marine Research found in a 2010 study that wild fish near salmon farms had high concentrations of organohalogenated contaminants (OCs) in their systems –chemicals such as polychlorinated biphenyls (PCBs) so toxic that their production was banned by the Stockholm Convention on Persistent Organic Pollutants; and polybrominated diphenyl ethers, a type of flame retardant known as PBDEs. A total of 45 percent of the fish nearby salmon farms were found to have feed pellets in their stomachs. The pellets fall through the salmon farm pens and accumulate on the sea floor, and are then consumed by wild fish in the vicinity. The control fish in the study were found to have no salmon pellets in their system, and up to 50 percent less OCs and PBDEs than the fish nearby salmon farms. Although salmon farming companies and feed pellet producers tend not to disclose the precise contents of salmon feed pellets, scientists and advocates report that most pellets in the global salmon farming industry contain chemicals such as those indicated in the study, among others. Pedersen is unaware of any studies that have been conducted within the fjords of Vestre Jakobselv and the surrounding area, but he is eager to see definitive research on what the effects of the chemicals from salmon feed pellets might be on the wild fish. He said that he has strong suspicions that for wild fish nearby the salmon pens, the chemicals are disrupting their reproduction cycles. TORONTO — Some jail guards are brutalizing inmates and covering up the abuse by destroying or falsifying records and intimidating colleagues, Ontario’s ombudsman warned Tuesday. 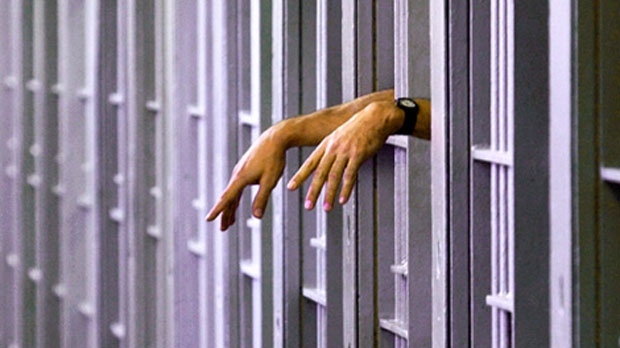 In a report on jailhouse brutality, Andre Marin called for immediate action to root out the problem and excise the “cancer” of the code of silence around guard violence. “Punching, slapping, kicking, stomping on someone who is under control, under restraints, is inexcusable and morally repugnant,” Marin said. Marin’s 135-page report is the product of thousands of complaints a year that were paralyzing his office. Filled with disturbing pictures and stories, it outlines a grim reality in Ontario’s 29 correctional facilities in which, Marin said, guards can assault inmates, often with complete impunity because their fellow officers don’t speak up. Marin cited the example of “Colin,” an inmate with a brain injury who was acting aggressively toward guards at a facility in Ottawa. Six officers restrained him with handcuffs and leg restraints, then beat him to a pulp, leaving his head swollen, his face and body battered. Guards initially claimed the prisoner hit his head on the floor. Marin was careful to blame a “rogue minority” of correctional officers who bully inmates and colleagues, but he said the aberrant behaviour has been allowed to metastasize throughout the prison system. The report makes 45 recommendations to the provincial government to end the “dysfunctional culture,” among them better training, especially in dealing with prisoners with mental-health issues or other special needs. Also needed is wider use of video surveillance, so guards know they are being watched and more rigorous investigations of complaints, the report said. The government, Marin said, must focus on “malignant” peer pressure among some correctional officers. Statements from guards, he said, are vetted by their union and read like a template. Another recommendation calls for staff involved in an incident to be separated before they prepare their reports and barred from communicating with one another until after the investigation is completed. Two summers ago, the Ministry of Correctional Services began a review of more than 3,500 files involving alleged excessive use of force and investigated 55 cases. The probe confirmed brutality in 26 of those cases. The result was discipline against 108 staff, including 31 firings. In addition, four officers face criminal charges, and one has been convicted. The government is setting up an oversight and investigation unit, and appointing a use-of-force auditor to enhance oversight and accountability. The government, she said, is also implementing a zero-tolerance policy for any behaviour that threatens inmate safety or intimidates other guards. TORONTO — Transport Canada is urging railway companies to install voice and video recording devices in their locomotives in order to help with accident investigations. The ministry released a study on Friday that calls on railway companies to voluntarily install the devices, at the cost of roughly $10,000 per locomotive. The issue was raised in the aftermath of a fatal train derailment in Burlington, Ont., last year. A Via Rail train was travelling at almost 108 kilometres an hour on Feb. 26, 2012, when it derailed west of Toronto, killing the three engineers and injuring 45 people — 44 passengers and a Via employee. The Transportation Safety Board of Canada will announce the results of its investigation into the accident on Tuesday. At Transport Minister Denis Lebel‘s request, the Advisory Council on Rail Safety struck a working group of railway representatives, unions and Transport Canada staff to explore concerns that there were no communication recording devices in the cab of the Via train’s locomotive. After meeting with various stakeholders, the working group decided that asking companies to voluntarily install recording devices was the best option. Via Rail has already agreed to do. 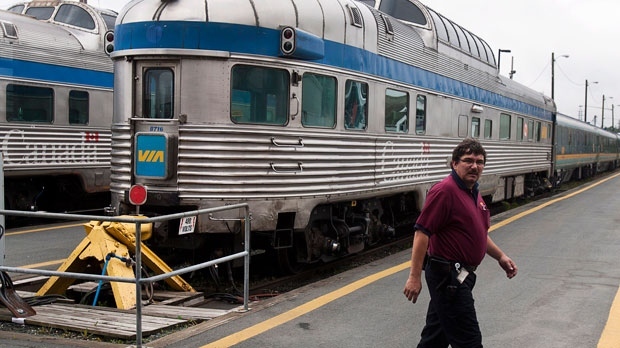 “We applaud Via Rail’s commitment to voluntarily installing voice recorders on all their trains, and we strongly encourage other rail operators to consider doing the same,” said Lebel in a statement. However, stakeholders from the industry and those from the unions disagreed on whether the companies should be allowed to use the recordings for other kinds of monitoring. Industry representatives pointed out that installing the devices just to investigate one or two incidents a year would have very little, if any, safety benefit, whereas using the devices to monitor compliance could prevent accidents. On the other hand, union reps were concerned that the recordings would be used for disciplinary action, and asked the companies to agree to delete recordings that are taken during uneventful trips.